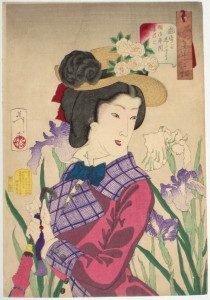 The artist Tsukioka Yoshitoshi literally lived in two worlds and this applies to not only the Edo Period and Meiji Period but also to his chaotic lifestyle. 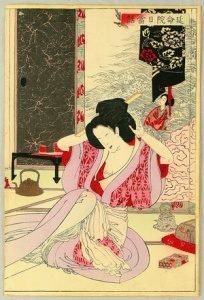 However, despite this, Yoshitoshi produced stunning art and he was extremely productive. Yoshitoshi was born in 1839 and his early life belonged to the feudal ways of the Edo Period. Yet gradually Japan witnessed internal political and cultural convulsions. 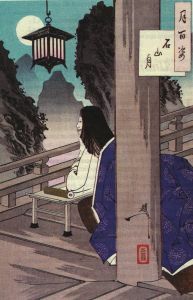 These internal convulsions culminated with the Meiji Restoration of 1868, therefore, the onset of modernity was a major challenge for all ukiyo-e artists. 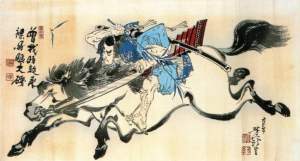 Many other individuals also speak with fondness towards Yoshitoshi because he took the challenge head-on and simply responded by utilizing his fantastic talent. 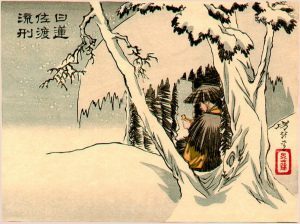 Therefore, when individuals view his rich legacy it is clear that the ukiyo-e world of Ando Hiroshige and Katsushika Hokusai was very different. Like I stated earlier, the years after his marriage in 1884 were extremely fruitful and this notably applies to One Hundred Aspects of the Moon (1885-1892) and New Forms of Thirty-Six Ghosts. Also, in the same period, he created other notable works of importance. Given this reality, Yoshitoshi was reaching fresh heights prior to 1891, therefore, one can only wonder about what he would have produced in the future if his health had held out. 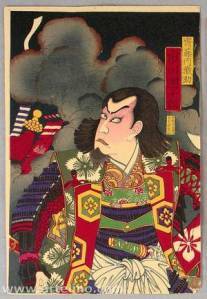 The life of Yoshitoshi represents the chaotic period that he belonged to. After all, you had many winners but also many losers who could not adapt to the changing world. However, this wasn’t the case for Yoshitoshi because he was a great innovator. Therefore, the real problems for Yoshitoshi were mental issues and severe poverty – and both factors made the situation even more dangerous. Yet, despite all the odds, Yoshitoshi leaves behind a lasting legacy because today his talent is rightly being reviewed and seen in a fresh light. 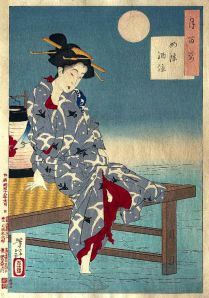 Yoshitoshi was “a bridge” that connects two worlds and his ukiyo-e highlights the intense struggle to survive during the Meiji period.